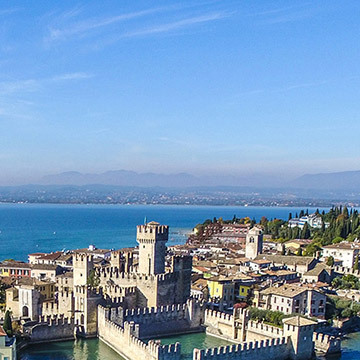 Terme di Sirmione S.p.A. is a dynamic, solid and expanding organisation. The properties of the water and the reliability of the Company make it a centre of prevention, treatment, rehabilitation, research and development of thermal water based products, unique in Italy. The broad and varied offer includes two thermal centres, Catullo Spa and Virgilio Spa, Aquaria Thermal SPA, three SPA hotels with thermal departments: the five-star Grand Hotel Terme, the four-star Hotel Sirmione e Promessi Sposi, the three-star Hotel Fonte Boiola and the Hotel Acquaviva del Garda dedicated to meetings and events. The company has enhanced the thermal offer with a selection of brand products: Acqua di Sirmione, the face and body cosmetic line Aquaria Thermal Cosmetics and merchandising of our mascot Procopius and various articles of the Aquaria Collection brand, made in collaboration with K-Way and Roba di Kappa. Chairman and Chief Executive Officer of Terme di Sirmione S.p.A.
Terme di Sirmione is a centre of excellence for thermal treatments in Italy for dermatological, rheumatic and vascular ailments and motor rehabilitation, with long experience in the prevention and treatment of respiratory diseases. All the thermal treatments, including those in the hotels, are conducted under agreement with the National Health Service (NHS) and guests can rely on highly specialised healthcare assistance. A call centre operates seven days a week to guide patients in the choice of the facility and most suitable services. To maintain the very highest health standards, the company makes use of a Scientific Committee made up of leading university lecturers who collaborate with the internal medical personnel in the definition of guidelines and programmes aimed at improving the quality of the services and scientific research in the thermal field. Since May 2017 Giacomo Gnutti, Managing Director and former Vice President of the Company, has been President of Terme di Sirmione S.p.A. . 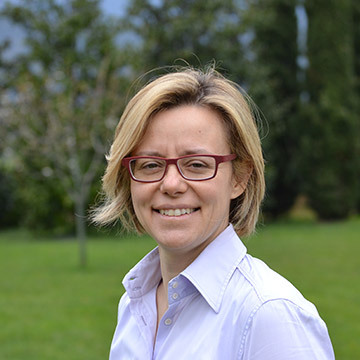 The Vice Presidency is coated by Giovanbattista Cerioli and Giorgio Santi, while by the end of 2015 Margherita De Angeli is the General Manager. 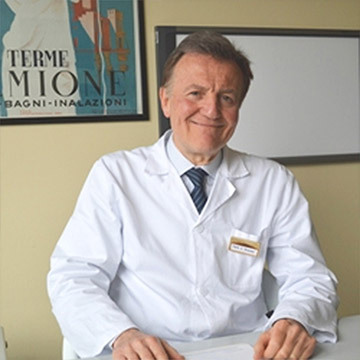 Carlo Sturani is the Scientific Health Director.